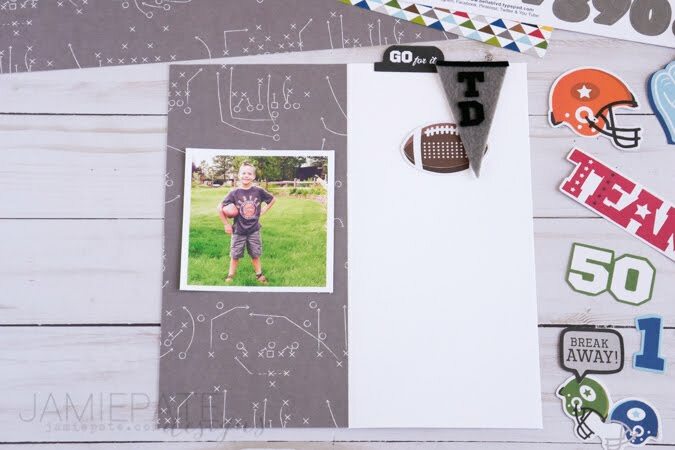 Want to record that little guy's sports career? This little guy is starting sports this fall. 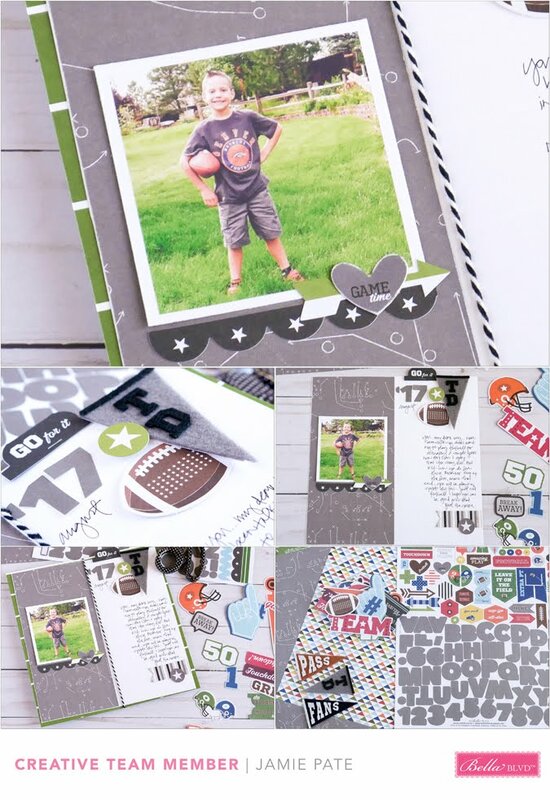 The story as told here on this page is about how much he wants to play football. But his mama is just not quite into that yet. 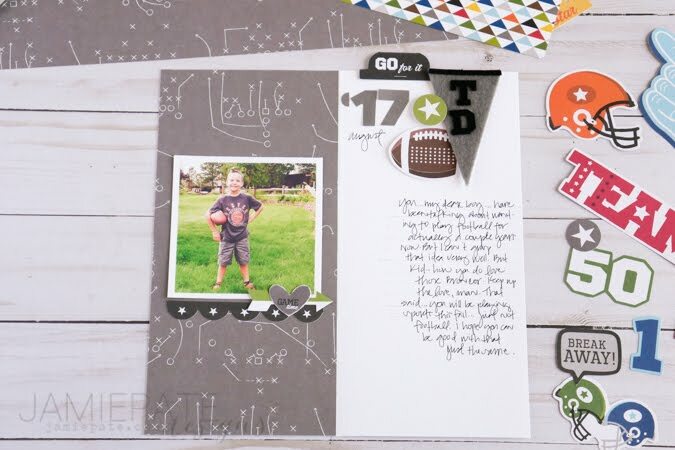 In the mean time...let's talk about this little traveler's notebook I am making to hold all the stories for his new athletic career this fall. 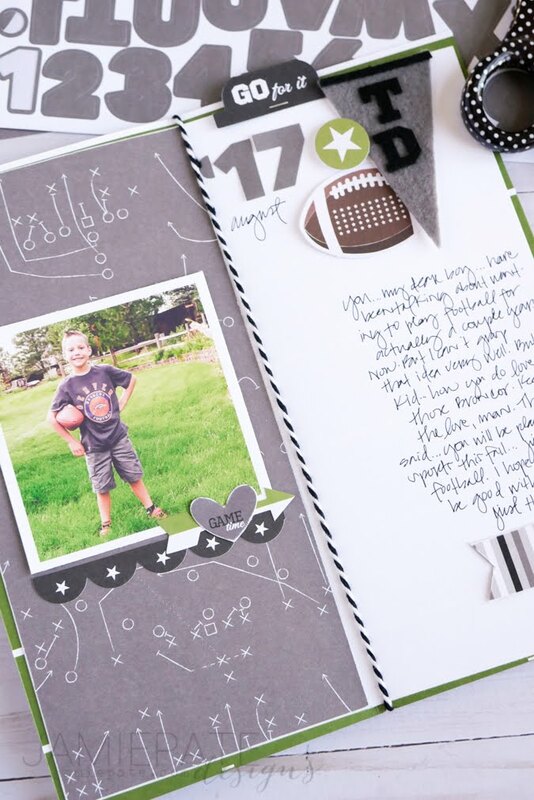 Today's post will introduce the new Bella Blvd Football Mini Collection. 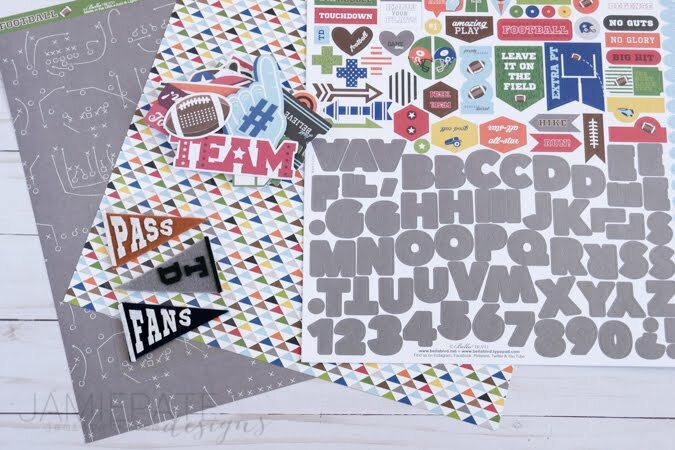 This new range includes several paper patterns, Pennants, Ephemera and the classic Fundamentals Sticker sheet. To start a traveler's notebook size book, trim a piece of cardstock to 8-inches wide by 8 1/4-inches tall. Adhere pattern paper to the left hand side of the folded middle. Add a photo. Shown here is a 3x3 square image of that wanna be football player. For these size books I prefer to not go any wider than 3-inches. 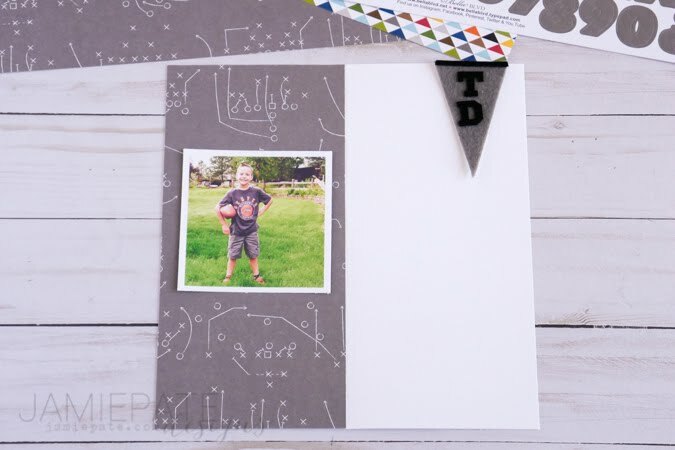 Add that cutie TD pennant to the top right edge. Tuck a piece of Ephemera under the Pennant. I like to layer these type pieces in embellishment clusters on my pages. Next place a tab piece from the Ephemera to the top edge. This will create great sticking out elements to be seen outside the book. 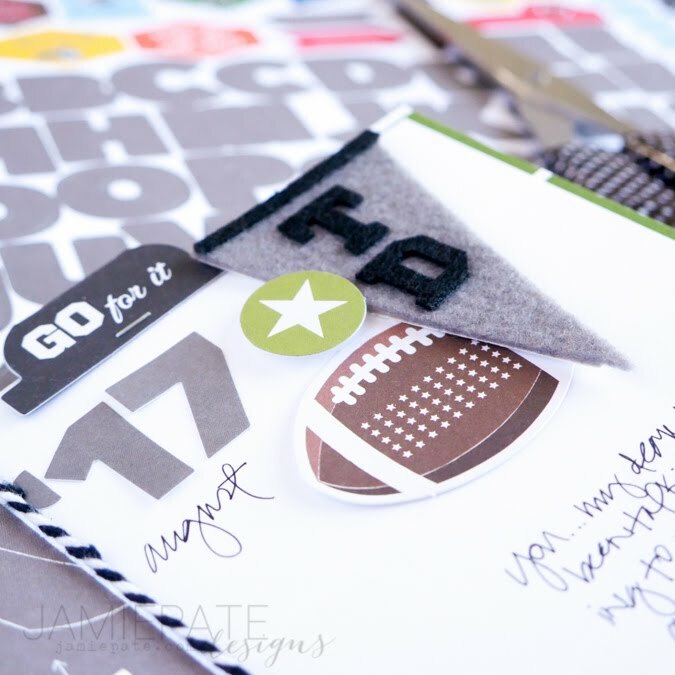 Use a pop-dot to add a round star from the Ephemera to layer over the pennant. 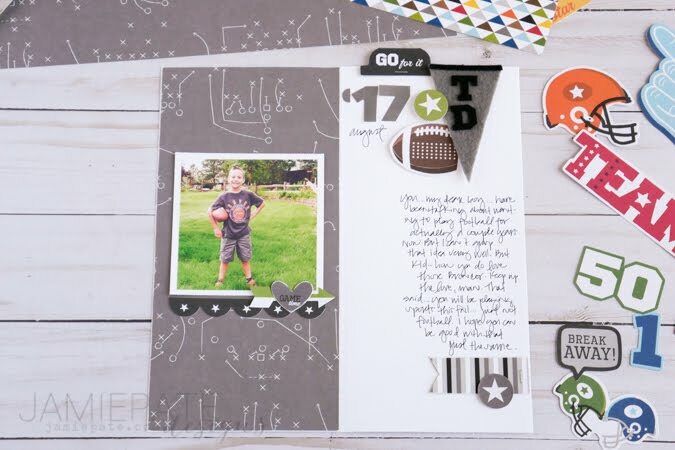 To complete the embellishment cluster happening along the top right edge, add a 1 and a 7 from the Fundamentals Stickers to indicate the year. I cut a 'period' in half to help indicate this was a date. 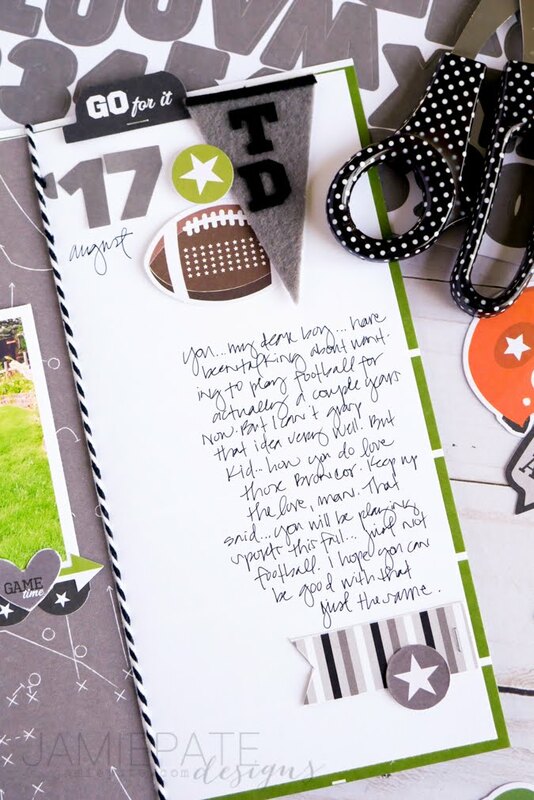 The most important part of any page with a photo on it..journaling. I almost always choose my own handwriting for the story element of a page layout. 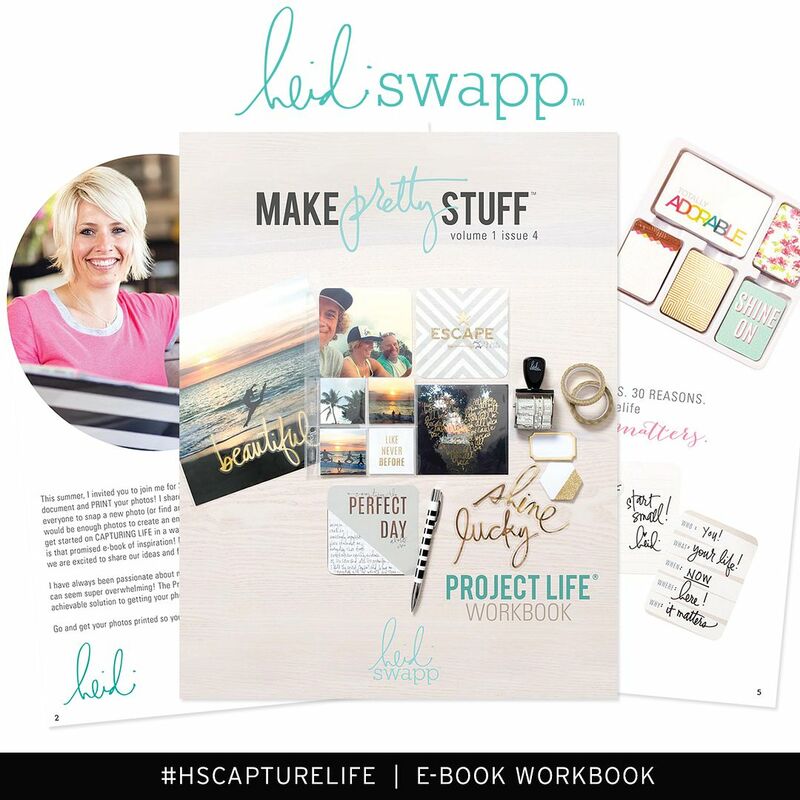 It would be easy enough to type the journaling in this space as well. 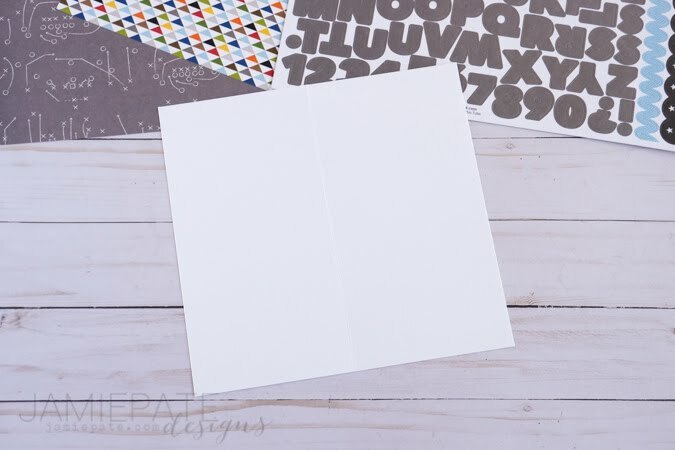 Add a small strip of paper about 1-inch wide from the Borders page to the bottom right-hand edge along with another round star from the Ephemera. 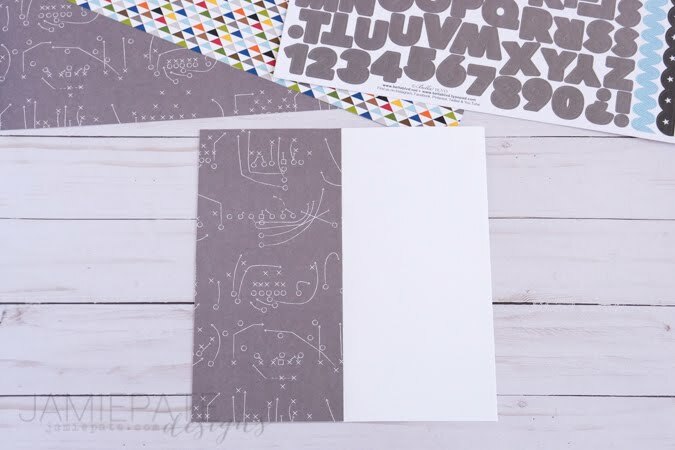 A book cover was created with another piece of pattern paper. That cover is slightly larger than the inner pages. And that's how this traveler's notebook had it's beginning. I love these size books. 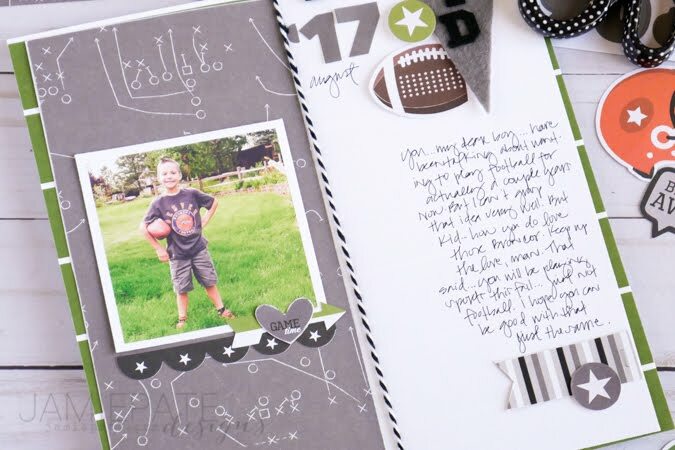 They are super fun and easy to create and the adding of embellishments and elements to the page is so easy. 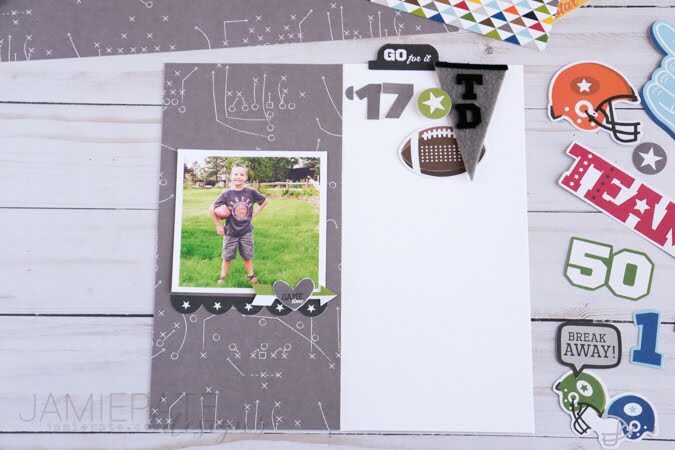 Remember to add a few embellishments to the photo side of the page too. Oh...and did I say to make sure you write down your story? 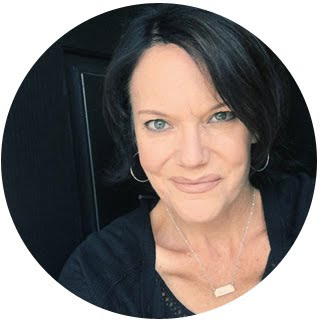 Be sure to check out the Social Media Roundup every Thursday on the Bella Blvd blog.